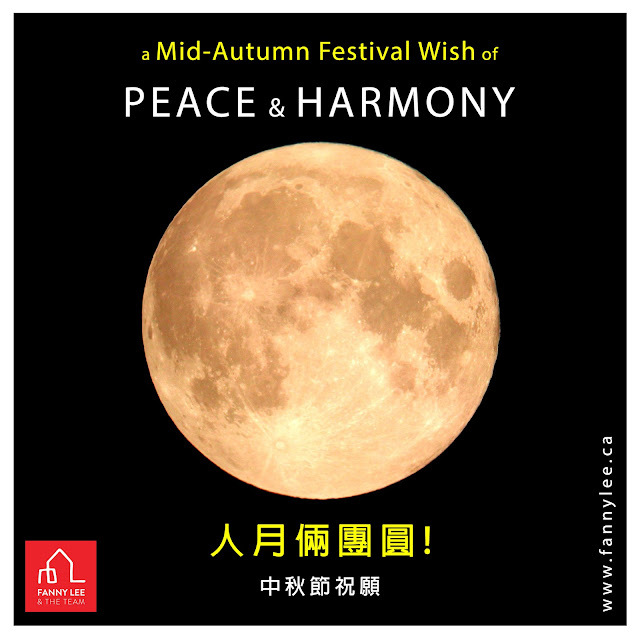 Today is Mid-Autumn Festival (中秋節), the middle of eighth lunar calendar month, signifying the arrival of Fall. In this evening, folks traditionally gather with the family to celebrate the change of season. After dinner, adult will go outdoor (balcony, backyard or the park) to chat, enjoy fruits and mooncakes with sight of full moon while children play with their lanterns. No matter where you are, wishing you much HARMONY & PEACE.